Judge Paula Brown was elected to Civil District Court for the Parish of Orleans on February 9, 2010. A native of Oceans Springs, Mississippi, she attended Tulane University on a basketball scholarship and graduated with a Bachelor of Science in Management from the A.B. Freeman School of Business. She went on to receive her Juris Doctorate from Southern University Law Center in Baton Rouge, Louisiana. 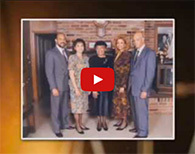 Judge Brown began her legal career as an associate attorney with the Law Office of Marie A. Bookman. 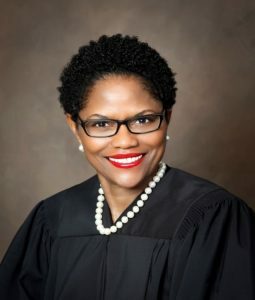 From there, she honed her skills as a judicial law clerk for the current Chief Justice of the State of Louisiana, Bernette J. Johnson, in Civil District Court and again at the Louisiana Supreme Court. Her vast experience led her to an appointment as Judge Pro Tempore for Orleans Civil District Court in 2004. She has also been a staff attorney with the Orleans Indigent Defender’s Program; an adjunct professor at Southern University at New Orleans; a trial attorney with the Regional Transit Authority; an associate attorney with Fine & Associates, PLC; and a litigator with the Hartford Insurance Group. Judge Brown is active in many state and national legal organizations. Some of her legal affiliations include: the A.P. 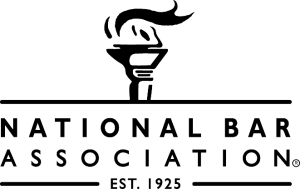 Tureaud American Inn of Court-Executive Board Member, 2014-present; the Louisiana State Bar Association; American Bar Association; National Bar Association; New Orleans Bar Association; Judicial Counsel of the National Bar Association; National Association of Women Judges; District Judges Association; and Louis A. Martinet Legal Society (Past Executive Board Member). Judge Brown is a Louisiana Bar Foundation Fellow, Class of 2011, where she sits on the Greater New Orleans Community Partnership Panel. She also serves as a moderator and presenter at continuing legal education programs for both judges and attorneys, and mentors newly elected judges and newly admitted attorneys. In 2005, she was a recipient of the City Business Leadership in Law Award. Judge Brown is not only active in legal activities, but also in her community. She is a board member of Louisiana Appleseed, Louisiana Heat Foundation, and I.N.S.P.I.R.E., RR, Inc. (Increase Student Performance in Reading Excellence, Rewards Recognition). She serves on the Advisory Board of Armstrong Family Services and is a member of 100 Black Women, New Orleans Chapter. In addition, Judge Brown serves as a mentor in the Tulane University Women’s Basketball Mentorship Program. As a breast cancer survivor, Judge Brown is passionate about promoting breast cancer awareness. She is a former board member of the Susan G. Komen for the Cure, New Orleans Affiliate, where she served from 2008-2015. Judge Brown was awarded the 2015 Susan G. Komen Survivor of the Year. She was also the 2015 recipient of the Forum for Equality Leadership Award. Judge Brown is a former YWCA Role Model and a 2010 recipient of the Sigma Gamma Rho Sorority, Inc.’s Award for Exemplary Community Service. Judge Brown is a faithful member of Franklin Avenue Baptist Church in New Orleans under the leadership of Pastor Fred Luter.